South American olive oil producers enjoyed their most successful year at the 2018 NYIOOC World Olive Oil Competition (NYIOOC), bringing home 10 awards, including two for Best in Class. “The NYIOOC is a difficult contest for some oils from the southern hemisphere” due to a later harvest than usual, said Diego Livingstone, of Chilean producer Agricola Pobeña, which won two Gold Awards and one Silver Award this year. On two previous occasions, South American oils won 10 awards, but this year they did so while submitting the fewest entries since the competition began in 2014. Of the four South American countries that were represented in the competition, Brazil was the only one that defied this downward trend in participation. Brazilian producers submitted more entries and won more awards than in the previous four years, combined. Brazilian producers were also the biggest winners this year, bringing home five of the 10 awards, including one Best in Class and two Golds. “We felt very happy, doubly happy, in fact, this year because [our two Gold awards] show us and our customers that we are doing it right, making oil of the highest quality possible every year and improving,” said Rafael Marchetti of Prosperato, which received one Gold award for its Exclusivo Koroneiki and the other for its Exclusivo Picual. Brazil is the second fastest growing market for olive oil in the world. According to the International Olive Oil Council, consumption grew by 19 percent last year and is expected to continue growing this year. As a result, Marchetti believes that Brazilian producers cannot meet all of this demand, but can compete to have the highest quality products on the market. “Even the best extra virgin olive oils from around the world cannot get to Brazil as fresh as ones produced here,” he said. Uruguayan producer, O’33, received the other Best in Class award for their robust blend, Coupage Blanc. Uruguay has been the most successful South American country at the competition, receiving 17 awards since 2014 and recording a nearly 50 percent success rate. True to form, this year Uruguayan producers submitted two entries and received one award. O’33 previously won a Gold award in 2015 and Natalia Welker said this Best in Class award demonstrates that Uruguayan producers are continuing to improve on quality. “The truth is that we are very happy since it takes a lot of work to achieve high-quality extra virgin olive oil,” she said. Livingstone echoed these sentiments. Agricola Pobeña’s three awards this year were the most any Chilean producer has received since 2015. They received gold awards for two delicate blends as well as Silver for their medium Picual. 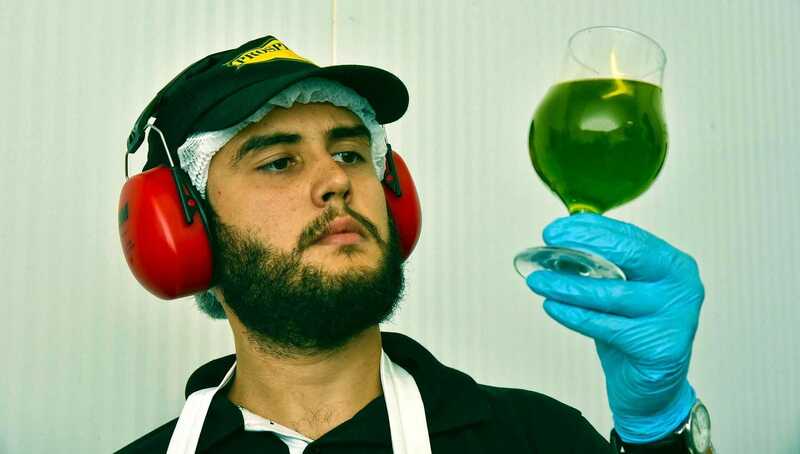 He said that the New York awards are an endorsement of the production methods and techniques of Agricola Pobeña and the Chilean olive oil community: an indication that producers are moving along the correct path.